KOLKATA: RESPECTFUL tributes were paid to Comrade Lakshmi Sehgal in Kolkata in the commemoration meeting organised by the Left Front on August 14. The meeting, presided over by Left Front chairman Biman Basu, was addressed by Ashok Ghosh, the veteran leader of Forward Block and Subhashini Ali, CPI(M) leader. Subhashini Ali told about her mother who was dedicated to the cause of downtrodden and the working people. She fondly remembered how her mother used to devote more time for children of toiling people rather than caring for her own daughters. Ali also told that after Comrade Sehgal joined CPI(M) she used to term it as ‘home coming’. Ashok Ghosh described the outline history of INA and the important role it played in India’s struggle for freedom. ‘Captain Lakshmi Sehgal was the product of a revolutionary struggle against imperialism”, he said. Biman Basu, in this respect, stressed that the struggle against imperialism has not stopped. In fact, it has assumed greater importance in the backdrop of US hegemonic belligerence and its growing military-political presence in Asia. “Indian ruling classes are subscribing to the imperialist pressure and weakening the sovereignty of the country” , he asserted. 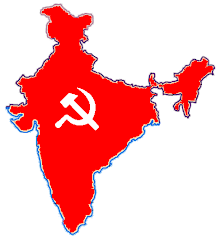 Left Front has called for a mass rally against imperialist designs on September 1. There will be a week-long campaign against imperialism, starting from August 24. The meeting took oath to carry forward the legacy of Comrade Lakshmi Sehgal through wider struggle against imperialism. Among others, Buddhadeb Bhattacharjee, Suryakanta Misra, Md Amin, Benoy Konar, Manjukumar Majumdar (CPI), Khiti Goswami (RSP) and leaders of Left parties were present.